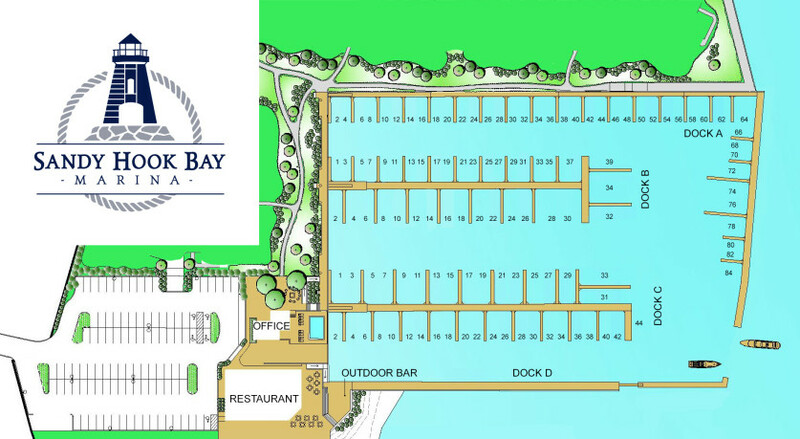 HIGHLANDS – Sandy Hook Bay Marina is planning a formal ground breaking ceremony for Thursday, Sept. 10, at 4 p.m., to celebrate the next step in building and expanding the 130-slip marina in the Waterwitch area of the borough. It’s been a long hard fight since the Willow Street Marina plans for improvements went before federal and state agencies for all the necessary approvals needed for expansion of the marina years ago. But when Super Storm Sandy devastated the area three years ago, it meant new regulations would be in place, and delays in marina completion would be the norm for several months until all the new regulations were established and all the necessary permits authorized. Nor will this marina be like the old Sandy Hook Bay Marina. The docks for each of the boat slips will all be floating docks, a far safer and more easily managed docking procedure for boats. Amenities will once again include a top rate restaurant and bar, but there will also be a swimming pool, added amenities for boaters, and more than a few elegant additions for the community and boating public. One large building on the property will include areas where boaters and their guests can enjoy the vistas available from this community and for relaxation and private parties. When asked if the highly successful and very popular Atlantic Highlands Municipal Harbor just up the river from the Sandy Hook Bay Marina will make it difficult to maintain a successful business, Bollerman pointed out that people devastated by Super Storm Sandy, many of whom lost their boats, are now returning to the water and boating remains one of the most popular recreational activities for Garden State residents. “I certainly feel the market is large enough and deep enough for both marinas to be successful,” he said with confidence. Because of Super Storm Sandy, the ground level had to be raised to meet new standards. The company was more than happy to comply and to take advantage of the dredging in the marina area which had been planned. The sand dredged from the water was then put into use to raise the land surface as required, Bollerman explained. And the result is that 98 per cent of the dredged materials, now clean fill on the land, is pure sand. There is also a wave screen which provides added protection to the harbor itself, now capable of meeting a category two hurricane head on without damage. To say it has been a long, hard, and expensive fight puts it mildly, Bollerman conceded. He first purchased the Marina section of a much larger tract he had purchased from other owners in 2014. While some of the original purchase that planned for town houses has now been sold, construction on the marina section has been well underway since Sandy totally devastated the west side of the Highlands waterfront. With a grant from the National Boat Infrastructure Program, administered through the NJ Department of Transportation, the marina also includes facilities for transient boaters in vessels 26 feet or more in length. The federal program provides the grants to states for the construction, renovation and maintenance of such facilities, and the states partner with private marinas and others who make successful applications. Grants are only awarded under a competitive basis, and the Highlands project met all the criteria and competition. The final approval came from a national panel recommendation and the Director of the US Fish and Wildlife Service, and the funding comes from the Sport Fish Restoration and Boating Trust Fund. In addition to the slips reserved for transient use, a requirement under the grant for that portion of the overall project, the marina provides custom accommodations for boats up to 80 feet in length, with water 13 feet deep. Bollerman, though disappointed about the delayed opening of the marina because of the Sandy impact, said his desire is even stronger now to bring a huge economic boon to the community, to increase employment opportunities and to have the marina fully operational in time for the 2016 boating season. Bollerman has been in real estate and construction in Monmouth County for more than four decades, and has been affiliated with firms acclaimed for development, planning and construction innovations. A resident of Little Silver, he was the 1991 Developer of the Year for NAIOP (National Association of Industrial & Office Parks), is the recipient of the Monmouth-Ocean Development Council Silver Gull Award, the NJ Business & Industry Association Good Neighbor Award, and the NJ State Conference of Bricklayers and Allied Craftsman annual Masonry Award.